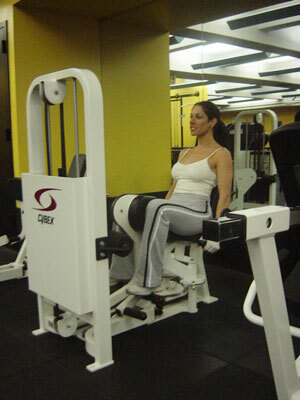 Instruction: Using adduction machine, move the thigh inward. Return to starting position. Repeat.